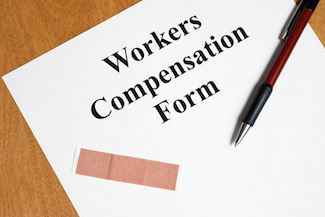 Worker’s compensation insurance protects companies and employees if employees are injured on the job. The insurance covers medical/rehabilitation costs and some lost wages due to injury. In return, the company is protected because the employee relinquishes the right to sue the employer for negligence. Nearly every state requires businesses to carry worker’s compensation insurance. For businesses with employees that are not owners or partners, it is an important part of running a responsible business. It protects both the business and the employees in the case of an accident or injury in the workplace. Kincaid Insurance offers worker’s compensation insurance for small business in Indiana, Kentucky, and Illinois. Companies with professional office environments, such as dentists, attorneys, doctors, accountants, insurance agencies, and computer programmers/consultants should carry worker’s compensation insurance. Hair salons, day cares, trucking/towing companies, pest control specialists, retail store operations, franchised motels, restaurants and other small businesses should also be sure to have a policy. If you’re not sure whether your company should get worker’s compensation insurance, we’re here to help you. Contact us by filling out this form or by dialing: 877-888-5506. Can I Afford Worker’s Comp Insurance? Kincaid provides several companies with worker’s compensation with our Pay-As-You-Go premiums. These premiums are paid monthly and are based off of payroll, so in months when business is slower with a lower payroll, the monthly premium is lower. This keeps costs manageable year round. We currently help business owners find affordable worker’s compensation insurance in the following communities: Indiana, Kentucky, Illinois. We have customers spanning this area, including businesses located in Evansville, Newburgh, Boonville, Rockport, Jasper, Vincennes, Haubstadt, Terre Haute, Corydon, Princeton, Washington, Tell City, Ferdinand, Henderson, Owensboro, Louisville, Madisonville, Carbondale, Mt. Vernon, Olney, Fairfield, and many others.